As people age, they may require long-term care services to protect their health and improve their wellbeing. Nursing homes, in-home health care, and assisted living facilities are the most common long-term care services for seniors, however they’re also the most expensive. According to Genworth Financial, the average annual cost of long-term care in Texas is between $42,000 - $72,635, and for many seniors, these high costs can be a hindrance to retirement. Low-income seniors who need long-term care may qualify for financial assistance through Medicaid. Texas Medicaid covers a wide range of health care costs, and may pay for nursing homes, in-home health, and assisted living for those who meet their criteria. The criteria take an applicant’s income, assets, and medical conditions into consideration to determine if a person is qualified to receive Medicaid benefits for long-term care. The Texas Health and Human Services Commission (HHSC) operates the state’s medical assistance program, and holds the most direct control over the program. The HHSC works jointly with the federal government to fund Texas Medicaid, with the federal government funding 57.5 percent of the program. Texas state government pays for the remaining 42.5 percent of their Medicaid spending. A person may qualify for long-term care services through Medicaid if they meet the program’s requirements. They must fall within Medicaid’s income and asset limits, the services they request must be medically necessary, and they must be a Texas resident. Married couples and single individuals are subject to different limits, and certain assets (like automobiles and homes) are exempt from Medicaid’s consideration. While Texas Medicaid covers nursing homes and in-home health care for all senior and disabled beneficiaries, some seniors prefer to receive community-based care. Medicaid does not cover community-based care by default, however there are numerous programs in Texas which may extend a person’s benefits to include alternative forms of care. Most Medicaid beneficiaries in Texas receive services through a managed care system. Managed care systems allow Medicaid beneficiaries to choose a qualified plan from a pre-approved list of providers serving their location, and choose a physician who is covered by their chosen plan. Private insurance providers create a contract with the state of Texas to offer Medicaid services, allowing managed care systems to work. The primary managed care system most people use is known as the State of Texas Access Reform (STAR) Managed Care program. Seniors seeking coverage for long-term care may need to use a STAR-PLUS plan to receive benefits for the services they need. The STAR-PLUS managed care system serves seniors over 65 and disabled individuals who require significant care services. Originally, seniors were not allowed to use STAR-PLUS for nursing home coverage, however regulations enacted in 2014 require STAR-PLUS plans to cover nursing homes and in-home care. The Community-Based Alternatives (CBA) Waiver is a statewide program extending additional Medicaid coverage to qualifying applicants. Medicaid does not cover community-based alternatives to nursing homes (including assisted facilities) by default, therefore an applicant must receive a CBA waiver if they wish to receive assistance paying for such services. To qualify for a CBA Waiver, an applicant must meet the Medicaid health and financial eligibility guidelines set forth by the Texas HHSC. Additionally, they must qualify as “at risk of requiring nursing home care,” and the services they require must be adequately available through their community. Seniors in Texas who need in-home personal assistance to complete their activities of daily life may qualify for coverage through the Primary Home Care (PHC) Program. The PHC is an entitlement program for seniors in Texas who require assistance with essential daily tasks, like changing clothes, showering, eating, and attending to calls of nature. By qualifying as an “entitlement” program, PHC is accessible to anyone who meets the eligibility requirements. Individuals enrolled in the PHC Program may choose how they receive their benefits: through a Service Responsibility Option (SRO) or through Consumer Directed Services (CDS). By choosing the CDS delivery model, seniors may choose their own care provider. Seniors may also hire their friends or family to provide care (excluding their spouse) using CDS, making it the most popular option among seniors enrolled in the PHC Program. For a person to qualify for the PHC Program, they must be eligible for Medicaid. They must require assistance with at least one daily activity (like bathing, eating, or dressing), and a medical condition, as documented by a licensed physician, must be the reason they need assistance. There are no additional financial qualifications a person must meet to qualify for the PHC Program - if a person meets Medicaid’s asset and income limits, they may financially qualify for PHC. As of 2015, Texas offers Community FIrst Choice (CFC) as a Medicaid program for low-income seniors. The CFC is federal option which offers a 6 percent increase in federal funding for states who opt-in. States who offer CFC may provide home and community-based long-term care through their Medicaid program, like in-home personal assistants and attendants. For an applicant to qualify for the CFC Program, they must be eligible for Medicaid, and they must require an institutionalized level of care. Typically, recipients of CFC benefits need assistance with at least one daily activity, like dressing, eating, or maintaining personal hygiene. To learn more about Community First Choice, visit the program’s website. Texans residents can apply for the Program of All-Inclusive Care for the Elderly (PACE) to receive community-based services. PACE operates using a “comprehensive care” approach, allowing seniors to access low-cost senior care through the program. The services offered through PACE are far less expensive than most nursing facilities, and they can address many of the same health conditions as institutional care. Seniors in Texas who qualify for nursing home placement may be eligible to receive PACE benefits. To learn more, visit the program’s website. What Long-Term Care Services Does Medicaid Cover in Texas? Anyone who receives Medicaid benefits can qualify for nursing home coverage. For a person to receive nursing home coverage, an institutional level of care must be medically necessary (as determined by a physician), and the person must meet Medicaid’s financial eligibility requirements. For a nursing home to be medically necessary, a person must have a significant health condition which requires a level of nursing care only available through an institutional setting. Medicaid re-considers a person’s eligibility for nursing home coverage every six months. At the end of each six-month cycle, a person’s physician must confirm that a nursing home continues to be medically necessary for Medicaid to renew coverage. For a person to receive coverage for assisted living facilities through Medicaid in Texas, they must qualify for a waiver. The CBS Waiver is the primary resource for seniors seeking coverage of assisted living through Medicaid. Recipients of the CBS Waiver may use it as a payer toward assisted living once they’ve exhausted all of their other financial resources (like a private insurance policy or available personal assets). Like nursing homes, Medicaid covers in-home care for those who require it to maintain their health. If a physician determines in-home health care services (like medication administration) are required to maintain a person’s wellbeing, they may qualify as medically necessary services and may receive coverage through Medicaid. Personal care services differ from in-home health care, however Medicaid recipients can receive coverage for personal assistance as well as skilled nursing care. A personal assistance helps someone with their non-medical activities of daily living, like cleaning, cooking, or dressing. The PHC and CFC programs may pay for in-home personal assistants for those who qualify. While Texas offers the CFC on a limited basis, PHC qualifies as an entitlement program, and anyone who receives Medicaid and meets the program’s requirements may receive benefits. For a person to receive Medicaid benefits in Texas, they must meet the program’s health and financial criteria. A person may qualify for Medicaid to pay for long-term care if it is medically necessary for them to receive services, and if their assets and income fall within the limits. A person who does not meet the asset and income requirements cannot qualify for long-term care coverage through Medicaid in Texas, as the state’s medically needy program does not extend to seniors. Texas requires all Medicaid applicants to require the services they request before they may receive coverage. Applicants who voluntarily choose to receive long-term care in a nursing facility or at home without a doctor’s order are not eligible for coverage through Medicaid. For Medicaid to cover a person’s nursing home or in-home care costs, a physician must determine it as a “medically necessary” action to preserve the applicant’s health. Each applicant in Texas seeking long-term care benefits must be assessed by a physician for Medicaid to consider their application. Physicians in Texas use the Level of Care (LOC) Assessment to determine an applicant’s medical necessities. Using the LOC Assessment, physicians can evaluate a person’s health conditions and establish their need for supervision, personal assistance, and other services administered by licensed nurses. The assessment will also show if a person needs restraints or alarms to maintain their wellbeing, and will note any medications the person requires (as well as their ability to self-administer them). Additionally, it will discuss any special treatment programs the applicant needs, including therapies and other types of rehabilitation. A person’s ability to complete their activities of daily living (ADLs) is a significant determining factor when they undergo their LOC Assessment. Many seniors have chronic health conditions which do not impact their ability to live independently, which would prevent Medicaid from considering long-term care as medically necessary. When chronic conditions make it challenging or impossible for seniors to complete their ADLs independently, long-term care services can qualify as medical necessities. The HHSC uses two types of resources to determine a person’s financial eligibility: assets and income. Assets include any properties, annuities, spending accounts, stocks, bonds or insurance policies a person owns when they apply for Medicaid. Each of a person’s assets are assigned a value, and all individual applicants must have fewer than $2,000 in countable assets to qualify for long-term care benefits through Medicaid. 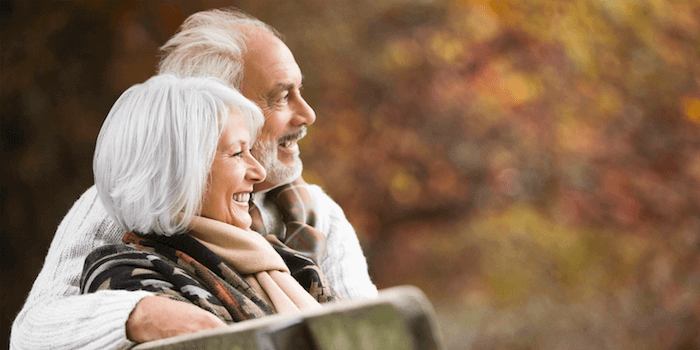 Married couples may retain $3,000 in assets without disqualifying themselves from coverage. It is possible for an applicant to qualify for Medicaid if they own more than $2,000 in assets, as some property is exempt from consideration. For example, a person’s home may qualify as an exempt asset if they have ownership interest in the property and it serves as their (or their spouse’s) primary residence. If the applicant leaves their home to seek long-term care at a facility, their house may remain exempt if their spouse maintains it as a primary residence. Medicaid generally considers assets jointly for married couples, however community spouse’s are entitled to retain a minimum of $24,720 (up to a maximum of $123,600) in assets when their partner applies for benefits. These limits serve as the Community Spouse Resource Allowance (CSRA), and are in place to protect a person’s resources and prevent spousal impoverishment. If a community spouse does not have at least $24,720 in non-exempt assets to retain, the institutionalized spouse may transfer a portion of their assets penalty-free to help their partner meet the minimum CSRA. Texas imposes home equity limits on Medicaid applicants, which may disqualify applicants with particularly valuable homes. Medicaid may not award benefits or waivers to seniors with a primary residence valued at more than $572,000 - the HHSC considers all homes with an equity value above this limit as non-exempt assets, and will count them toward a person’s eligibility. A second vehicle is required for other members of the applicant’s household (like their spouse or child) to transport themselves to and from work, school, or other obligations because the institutionalized spouse needs the first vehicle for medical use. A member of the household requires the vehicle for a disability, and it is modified in a way to specially accommodate the person. Additional vehicles will qualify as non-exempt assets, and will count toward the applicant’s asset limit. Medicaid applicants with retirement accounts (like IRAs or 401(k)s) may have to count them toward their asset limits, depending on the account’s availability for withdrawal. All retirement accounts which are available to withdraw are non-exempt assets, and Medicaid can use them to disqualify a person from receiving benefits. Alternatively, any retirement accounts which are not available for withdrawal are exempt. If the account owner can only receive their funds through terminating their employment, a loan, or another “approved hardship,” the account may qualify as exempt. Burial accounts, funeral trusts, and end-of-life expense accounts may also qualify as exempt assets if they meet Medicaid’s criteria. Each applicant is allowed one burial fund exclusion, provided it is worth $1,500 or less. Burial plots may also qualify as exempt assets, regardless of their value. In addition to a person’s assets, the HHSC takes a person’s monthly income into consideration when they review an application. The income limit for Texas residents applying to Medicaid is $2,250 - applicants with income above this limit may not be eligible to receive Medicaid benefits. If an applicant is married, their spouse’s income may not count against their income cap if the spouse is not also applying for benefits. Spouses staying in the home are known as “community spouses,” and their income may not impact their partner's eligibility if it falls within the CSRA. Community spouses in Texas may retain no more than $3,090 income each month. Additionally, all community spouses are subject to a Minimum Monthly Needs Allowance (MMNA) to protect against impoverishment, which allows institutionalized spouses to transfer part of their income to their partner without penalty. The MMNA in Texas is $3,090, meaning a Medicaid applicant may transfer as much of their income to their partner as needed to help them meet the minimum. To calculate each applicant’s monthly income, Medicaid uses Modified Adjusted Gross Income (MAGI) rules. Prior to the Affordable Care Act (ACA), Medicaid used a person’s gross income to determine their Medicaid eligibility, however the ACA created the MAGI to standardize how states calculate a person’s income. The MAGI takes a person’s gross income, foreign income, and Social Security benefits into consideration to determine if they fall within Medicaid’s income limits. Medicaid expects applicants to put all of their countable financial resources toward their care before they may receive benefits, excluding a $60 “personal needs allowance” for the month. Like assets, types of income generally fall into one of two categories: exempt, and non-exempt. Child support and crime victims compensation are two types of exempt income which may not count toward an applicant’s eligibility. Typically, earned income (like wages) are countable and unearned income (like alimony and child support) are exempt. Texas Medicaid does have a “medically needy” program, but it does not apply to seniors seeking coverage for long-term care. Only children and pregnant women may qualify as medically needy in Texas, limiting Medicaid eligibility for seniors who exceed the program’s financial requirements. Seniors may not participate in a spend down program with Medicaid if they are applying in Texas. However, they may use a Miller Trust (also known as a Qualifying Trust Income) to qualify for Medicaid benefits, regardless of their income and assets. A Miller Trust allows seniors to transfer some of their income to an “income trust” without facing a penalty from Medicaid. Income trusts are exempt from Medicaid consideration, as their primary purpose is to pay for a person’s care costs. When an applicant transfers all of their resources which exceed Medicaid’s limits into a Miller Trust, they can effectively reduce their income and improve their eligibility for benefits. For example, if a person earns $3,250 a month in non-exempt income, they will theoretically disqualify themselves from Medicaid. If the person puts $1,000 - the difference between their earnings and the income limit of $2,250 - into a Miller Trust, Medicaid will not count this income and the person may qualify for benefits. Many seniors attempt to qualify for Medicaid by transferring some of their resources to friends and family members prior to applying for benefits. Medicaid defines these voluntary transfers as gifts, and they can have a major impact on a person’s eligibility to receive benefits. For this reason, it’s important for applicants to have a plan before they transfer any of their resources. A caregiver agreement is one way seniors transfer assets without incurring penalties from Medicaid. When two people enter into a caregiver agreement, one party is paying the other to help them with a task For example, a person’s mother may pay them to do laundry, which would ordinarily count as a voluntary funds transfer. If the two individuals have a caregiver agreement, and the amount being paid is reasonable for the assistance being provided, Medicaid will not assign a penalty for the funds transfer. For a caregiver agreement to be legitimate, it must be in writing and both parties must provide their signature. An agreement is not valid if it is drafted for services and transfers which have already occurred - they are only valid for upcoming funds transfers. Lady Bird Deeds are another common way seniors protect their assets when they apply for Medicaid. In some cases, Medicaid will place a lien on a person’s home to compensate for funds spent on their care. A lien allows Medicaid to claim a portion of the home’s value as their own, and they are entitled to seize that amount when the homeowner transfers it to another party. Medicaid most frequently places liens when a person receives an outstanding amount of financial assistance from Medicaid. By using a Lady Bird Deed, seniors can protect their homes from Medicaid by transferring the home without probate. For a Medicaid to collect on their lien, the property transfers must go through probate, meaning they cannot do so if a home is transferred using a Lady Bird Deed. All Medicaid applicants seeking coverage for long-term care services are subject to a “look-back” period of five years. During the look-back period, any voluntary resource transfer may qualify as a gift, which can result in a penalty from Medicaid. If a person receives a penalty from Medicaid, they may received delayed benefits, or they may disqualify themselves entirely. The length of a person’s penalty period is entirely dependent on how many voluntary gifts they transferred prior to applying to Medicaid. As of 2017, anyone applying to Medicaid in Texas could divide the complete uncompensated value of gifts given during their look-back period by $172.65 (the average daily cost of a nursing home). The resulting figure determines how long Medicaid will wait before they provide the applicant with coverage. There is no limit on the value of gifts, meaning small holiday presents can count toward a person’s eligibility. Therefore, it’s crucial for anyone considering Medicaid to plan their asset and income transfers carefully, as to maintain their eligibility for benefits. A small percentage of seniors have private long-term care insurance policies to pay for their long-term care. To incentivize more seniors to purchase long-term care insurance and thus prepare for their future, Texas Medicaid operates in coordination with the nation’s Long-Term Care Partnership Program (LTCP). Middle-class seniors with long-term care insurance policies may be eligible to receive “dollar-for-dollar” assistance through Medicaid to offset some of their medical bills. If a person has a “Partnership Qualified” (PQ) long-term care insurance plan, Medicaid may allow them to retain some of their non-exempt assets equal to the amount paid out by their policy. For example, if a person’s long-term care policy pays $50,000 toward their care, Medicaid may allow them to retain $50,000 in countable assets. Seniors who do not financially qualify for Medicaid may become eligible using exemptions through the Long-Term Care Partnership Program. How Does Medicaid Work With Medicare in Texas? Applicants with a Medicare plan are not automatically disqualified from receiving Medicaid benefits. Although Medicare covers many health care services, some beneficiaries need financial assistance to pay for their plan. Many seniors in Texas are eligible for Medicaid and have Medicare plans - these individuals are known as “dual eligibles.” Dual eligibles may qualify for the Medicare Savings Program (MSP), which allows them to use a Medicaid plan to cover their copayments, deductibles, and monthly premiums. Texas offers a user-friendly online portal for residents applying to Medicaid. The portal can be found on the YourTexasBenefits website, where anyone can submit a new application, update an existing one, or check on their case progress. Texas residents may also apply for Medicaid at their local Health and Human Services office. To find an area’s HHS office, visit the location finder offered on the YourTexasBenefits website.